While many devices these days can be used without a keyboard such as mobile phones, tablets, and streaming devices, sometimes it’s just more convenient having one. I can tell you that for example, typing short sentences with a virtual keyboard is fine and all, but trying to type something like an entire blog post can really test your patience. However, sometime you just deal with it because who wants to lug around a giant keyboard? 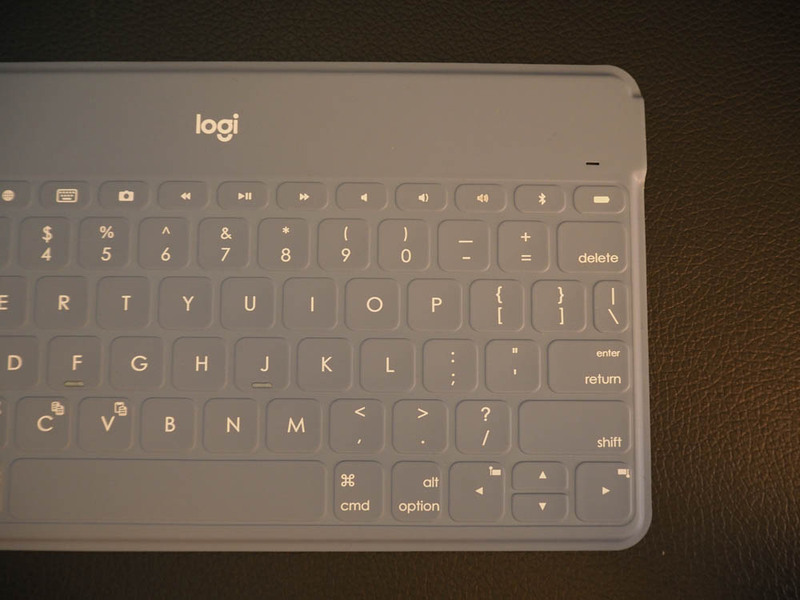 Well, Logitech has something for keyboard lovers that will make it much easier to carry one around. Their new KEYS-TO-GO is a portable keyboard that in incredibly thin and light, making it super easy to carry around in any bag. 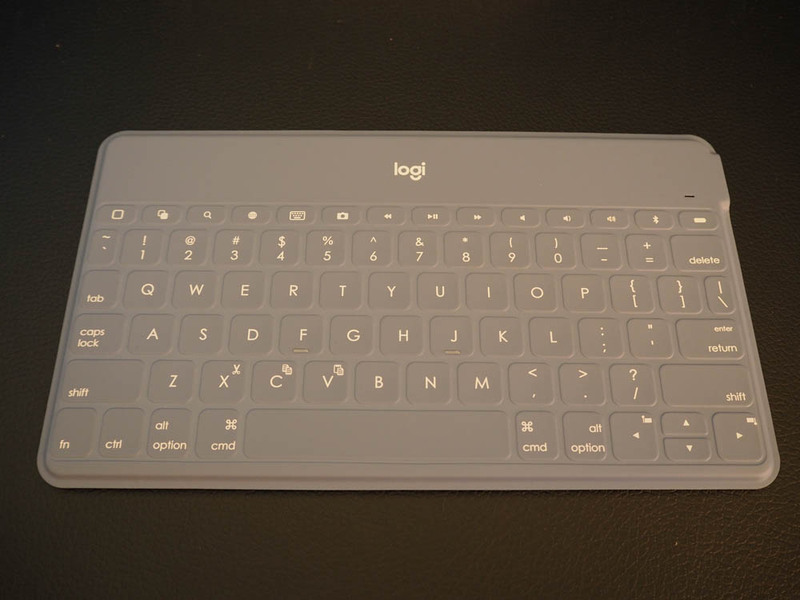 If you’re looking for a highly portable keyboard, the Logitech KEYS-TO-GO is it. It’s about the size of a small tablet, but much lighter and thinner. 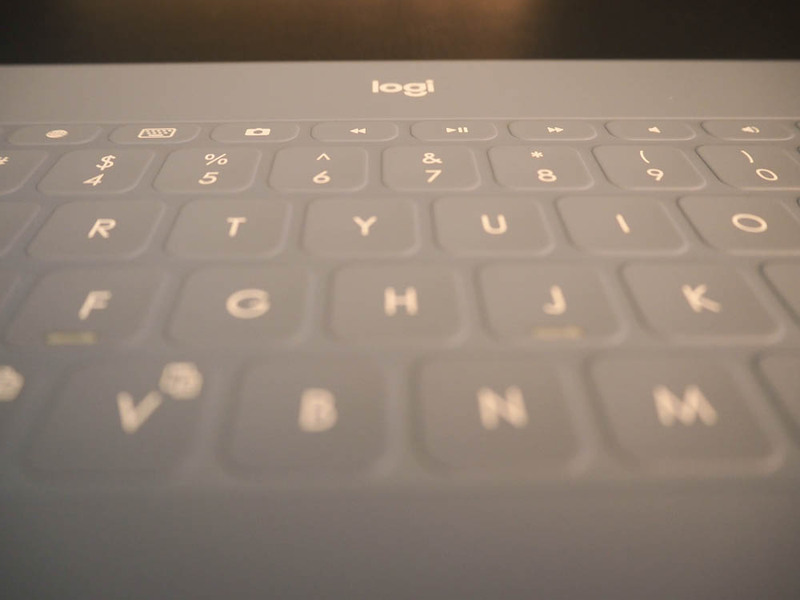 The first thing you’ll notice about it is that the keyboard wears what appears to be a rubberized skin that has a soft touch feel to it and has almost zero gaps. The only opening is where the USB port is and power switch, but other than that, the keyboard itself is sealed up really nicely to protect it from dirt and any accidental spills from liquids. As for the keys, they have a pretty nice feel to them. They don’t feel stiff or anything and have a good amount of travel to them. The keys however are a tiny bit smaller then on a regular keyboard and not as spaced out so you’ll have to get used to the slightly smaller layout. On the plus side, if you own an iOS device, this thing has a full row of iOS specific shortcuts included as buttons. You’ll also notice too that the KEYS-TO-GO doesn’t have an integrated stand built in, but there is one included in the box. The stand allows for mounting a phone or tablet, but not really with a case on. If you don’t use a case on these devices, then the stand will work out nicely for you. You don’t need the stand though as the keyboard works quite well on your lap. 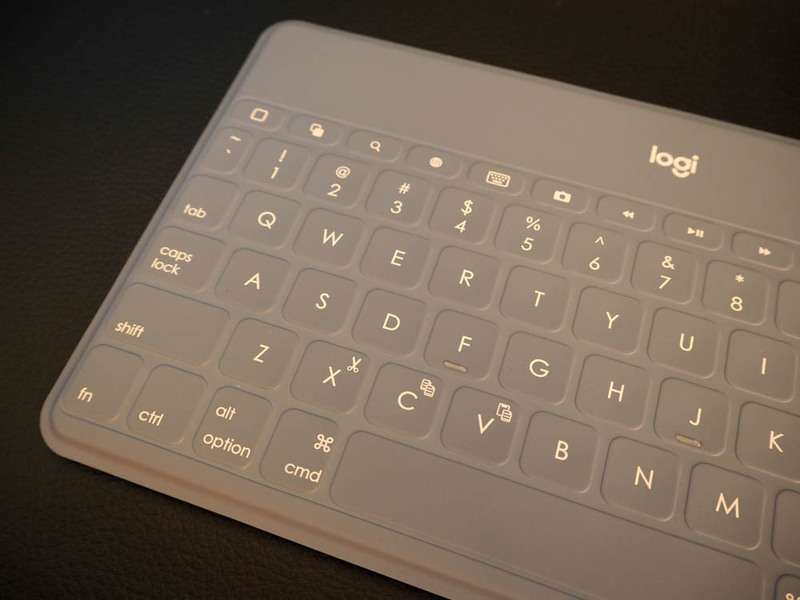 The Logitech KEYS-TO-GO is also quite the looker as you can get it in a variety of colors. It comes in black, stone, blush, and smokey blue. For this review, I got the smokey blue color which is almost like a pale lavender. For the most part, there’s really not much to dislike about the KEYS-TO-GO. It’s simple to pair and while it does have all those iOS specific shortcut keys, it can pretty much pair with any Bluetooth enabled device, not just an iPhone, iPad, or Apple TV. I even got it to pair with a PlayStation 4. If you have no use for the iOS shorcuts, you can get a version of this with PC shorcuts instead. Did I mention before too how super quite these are? These don’t make any loud clicking noises so they’re perfect to use like if you’re in a library or quite coffee shop where other people are also working and you don’t want to disturb any one. 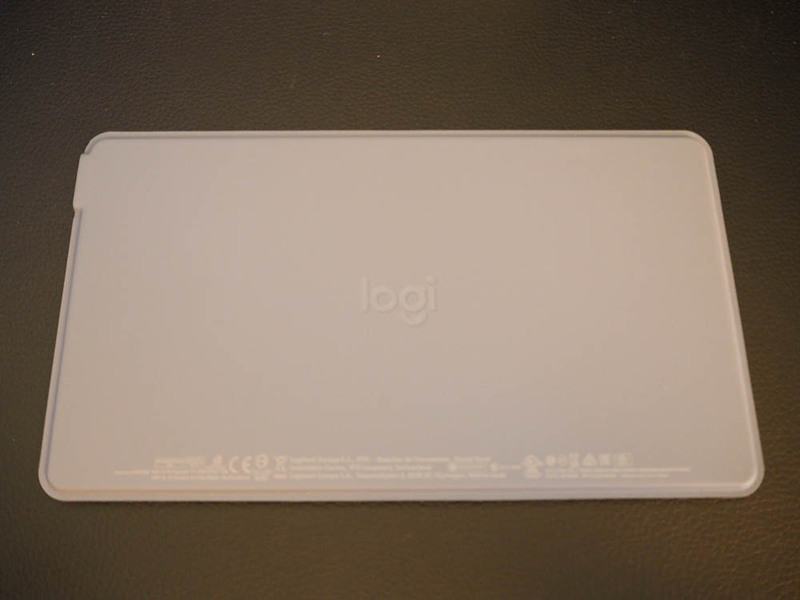 I appreciate the fact that it’s so light and thin, which makes it really convenient to carry around and you don’t have to worry about stuff like spills or dirt which is a concern when using a keyboard outdoors. You also apparently don’t have to worry about charging it very often as the battery in it is said to last about 3 months between charges. Of course that’s based on the amount of usage. I really like the Logitech KEYS-TO-GO. 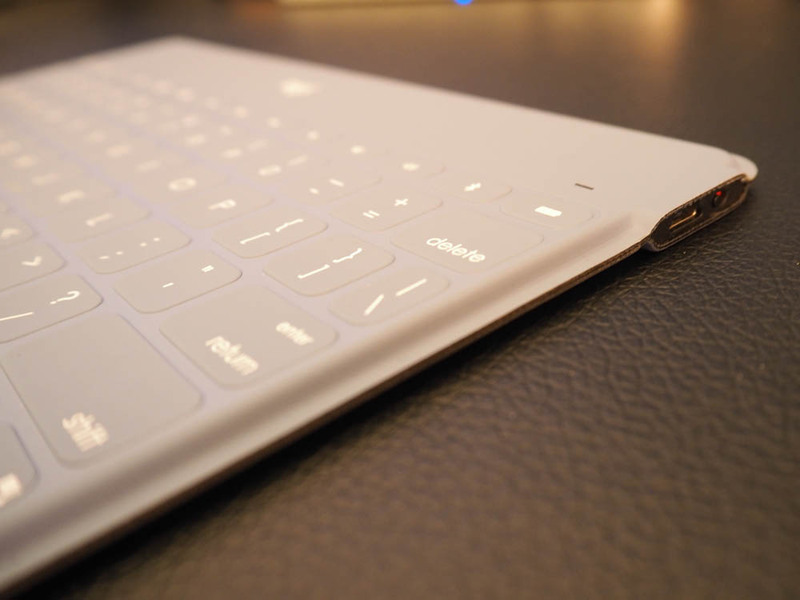 It’s a solid portable keyboard for those who want something thin and light. I like that it seems to be pretty much environmental proof being sealed up pretty nicely and you don’t have to worry about spilling anything on it. There’s really no downside to these except maybe for the slightly smaller keys, but that that’s a small price to pay I think for being able to type more efficiently than on a virtual keyboard.